Are you ready to thrive this summer as a mom? Trust me, I have had my fair share of survival mode summers and they are not how I want to remember summer. Yes, summer is going to have some barely surviving moments, but it also can be a time of fun! These tips will help you prepare to thrive this summer as a mom. One of the best ways we have been able to thrive is by having a routine. My natural tendency was to throw off all resemblance of a routine, which results in chaos. Take the time now to figure outwhat type of routine works best. This summer we plan to do 1 activity a day again as it helped us try some fun ideas and kept things different. Some things to think about was you establish a routine. Will you have a regular park day? Library day? Will there be quiet time? Regular meal and snack times. Take all of these into consideration as you plan. Set up the kitchen for success. As my kids have grown, so has my grocery budget. Whew, they love to eat! One thing I want to set up for this summer is snacks that are healthy and they can easily access. I also want to have on hand items for popsicles and other fun treats. Have a beach/pool bag ready. Since we live by the beach, we head there a lot in the summer. We also are planning to have a pool in the backyard this summer and visit our friend’s pool as well. It is so helpful to have the towels and sunscreen accessible. I have put some sunscreen in our beach/pool bag and the other bottles by the back door for easy access. Note: This post contains affiliate links. Please see the disclosure policy for more information. Prepare some fun for the kids. Along with doing our activity a day, I also have a few other things on hand to help when we need something new or fresh. Art Supplies- My kids love drawing, so we have a caddy full of drawing tools plus paper nearby. I’m Bored Jar- At some point in the summer, we will all hear the words, “I’m bored!” One way to help solve the boredom is by creating an I’m Bored Jar. 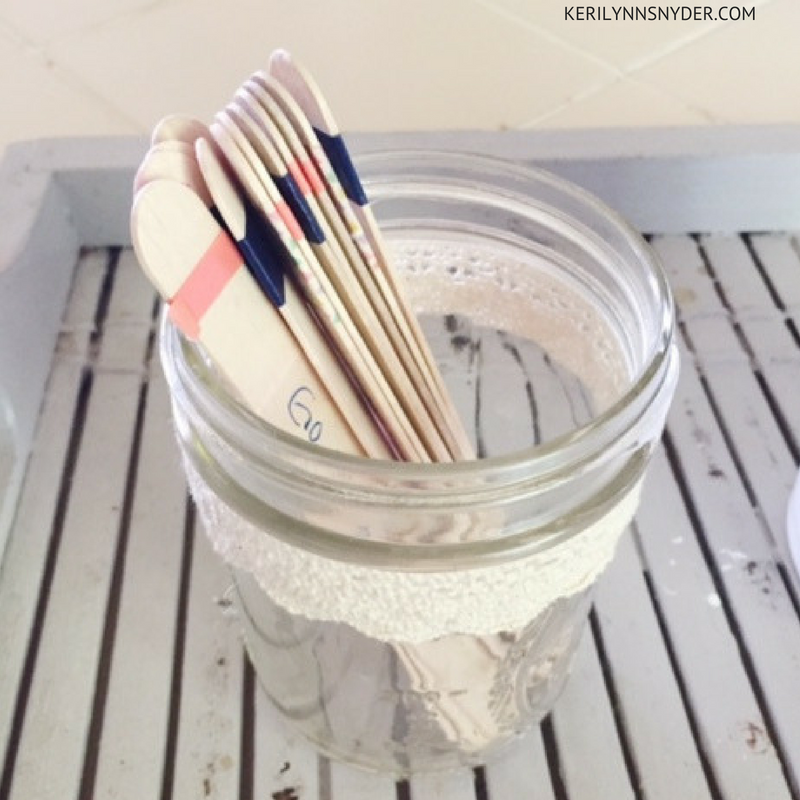 All you need is a jar and some craft sticks. I added some washi tape to the top of mine to mix it up. One color is for inside activities, the other is for outside, and the third is for family outings. When your child claims they are bored tell them to pick a stick and have fun. Inventor’s Box- My boys, especially my oldest, are always wanting to create something. One day, I decided to start putting random items we no longer needed in a box. The items have been: yarn, a can, bottle lids, etc. We call it the Inventor’s Box. It has been a great solution for him. Plan in family time and self time. Look at the calendar now and set aside specific dates for outings you want to take as a family. In the past we had all hopes of going to the zoo or trying a new park, only to realize summer was over and we never went. The same goes for planning in time for yourself. It is vital you take care of yourself and are filled back up over the course of the summer. 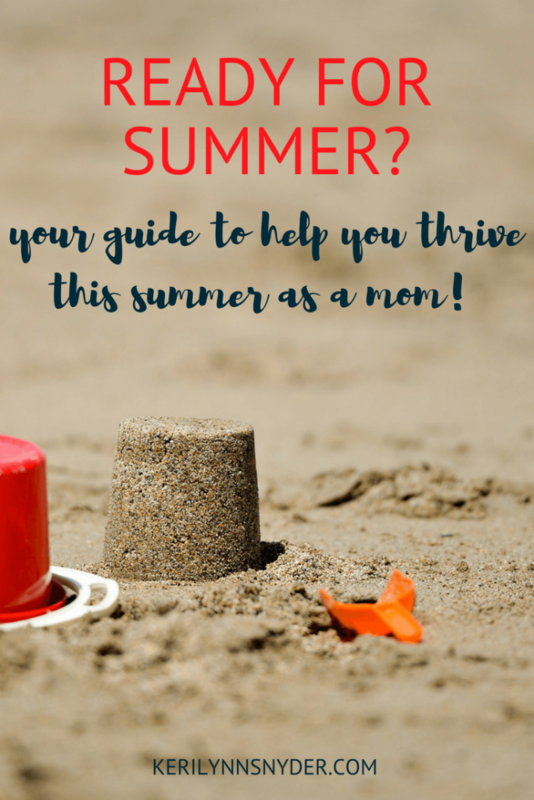 Are you ready to thrive this summer as a mom? I hope these tips will help you get a jump start! I would love to hear your tips in the comments below! If you want to receive fun activities to do with your kids this summer, make sure to check out the Summer Activities for Kids!